Most of the airsoft guns that you see being used in airsoft game fields are powered either by CO2 or green gas. Some are powered by AEGs or batteries but they are fewer compared to the first two. A few airsoft guns can work on both gases. 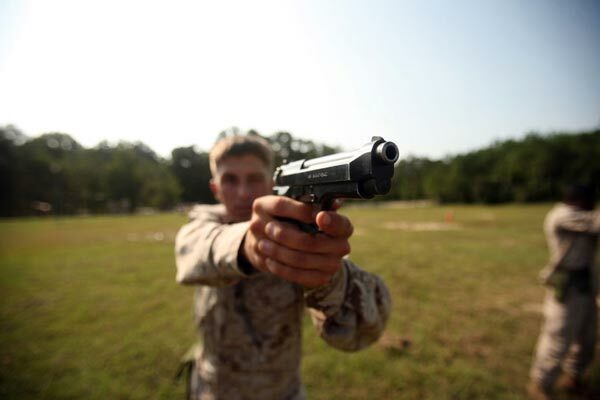 Green gas in airsoft guns is the substance that powers its movements. It is just one of the gases that are commonly used to power airsoft guns. The other two gas sources are propane and CO2. Airsoft guns can also be powered by AEGs or rechargeable batteries. Quora.com also offers additional information about green gas in airsoft guns. It says that green gas is actually propane gas but with scent and lubricant added to the original substance. Propane that is ordinarily used in camp lighting does not have any lubricant and smells like sulfur. Green gas contains lubricant because it will be used in airsoft rifles which consist of metal parts that move every time the trigger is pulled. Those metal mechanical components need lubrication to prevent their wear and tear. You can use raw propane in airsoft guns if you want to economize. But in the long run, it will be more expensive since it does not contain any lubricant and your rifle’s metal mechanical parts will easily wear out because of friction. The lubricant is added to raw propane so that an oil film will be deposited on the surfaces of the metal parts. This will reduce the friction and prevent these metal parts from overheating. Metal parts that overheat tend to stick together. If that happens, your airsoft gun will no longer work. The lubricant is important in maintaining the proper functioning of the guns. One reason why green gas is more expensive than raw propane is the addition of a lubricant or silicon oil. But that’s not the only reason. According to Answer Yahoo, the primary reason is that the silicon oil is imported from other countries like China, Taiwan, and Japan. Importing this item from these countries entails additional expenses which are usually in huge amounts. Aside from the cost of the material itself, there are other attendant costs such as shipping, processing fees, customs duties and many more. Which Is Better, Green Gas Or CO2? Your ability and diligence in maintaining the seals of your airsoft gun will be the factor that will determine if green gas or CO2 is better. If you are not fond of maintaining your guns, you will be better off with CO2, according to a reply published in Reddit. CO2 delivers higher pressure than green gas. So, if you don’t clean and maintain your airsoft guns regularly, its sensitive metal parts will wear away fast. If you skip a cleaning schedule or you store the gun improperly, there is a higher chance of blowing out a seal or a valve inside the gun. Since green gas delivers lower pressure, there is no need for strictly keeping a regular maintenance schedule. However, this does not mean that you can forget maintaining the gun completely. You still need to maintain it if you want it to function properly. If you use green gas, your gun will always be in a better condition even if you just clean it occasionally. If you are after better performance, you need to use CO2. Since this gas has a higher vapor pressure, it can be used in cooler weather conditions. But the downside is, it will be harder for your gun in the long run because of the stronger recoil which carries a high risk of broken loading nozzle or cracked slide. However, if you want to save money, propane is better. Answers Yahoo says that CO2 will cost you about 35 to 50 cents per magazine while green gas will only cost you about 10 to 15 cents per magazine. That’s about half the cost of CO2. According to Answers.com, it is easy to load an airsoft gun with green gas. Just turn the gas can and the magazine upside down. Get the pin that comes with the gas tank and fit it into the bottom hole of the magazine. Press it down for about three seconds. Release the downward pressure. Repeat if the initial release is not successful. What Are The Advantages of Gas Rifles? 1. Gas airsoft guns have many advantages over AEGs. If you are not concerned about the cost, you will be better off with gas guns. Here are some of the biggest advantages of gas power airsoft guns over those which are powered by rechargeable batteries. 2. Their trigger response is immediate. 3. They are able to take advantage of what is called joule creep if you use heavy BB ammos rather than the AEG. 4. If you maintain your gas powered airsoft guns religiously, it will be more dependable. 5. 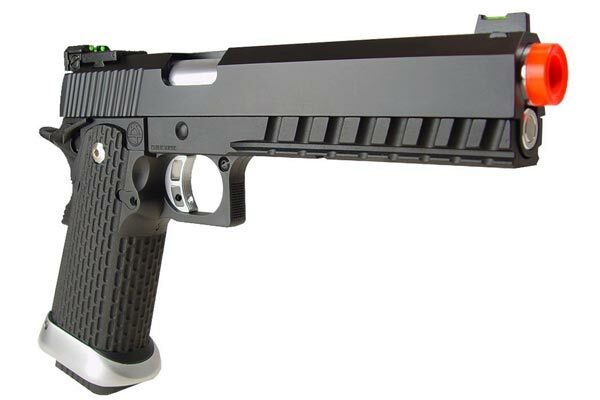 Gas powered airsoft gun will also give you certain indications that it is about to give up. AEG’s usually conk out without any warning at all. This is dangerous to you and your buddies. In addition to the information given above, there are other important things that you need to know about green gas in airsoft guns. Can you safely shoot at your ‘enemy’ with a green gas airsoft gun? The speed range of most airsoft guns powered by green gas is from 280 feet per second to 400 fps. At this speed rate, airsoft guns with a green gas can be considered safe in battles where you need to shoot at your ‘enemies.’ However, all participants should be wearing the right gear. What is the best green gas airsoft gun? There is no real and honest answer to this question. As long as the gun is reliable, it works within its speed range and if it provides a good feel, it will function as the best gun that you can safely use, no matter what its name brand is. If you want to be sure, go for the brand with a good reputation. 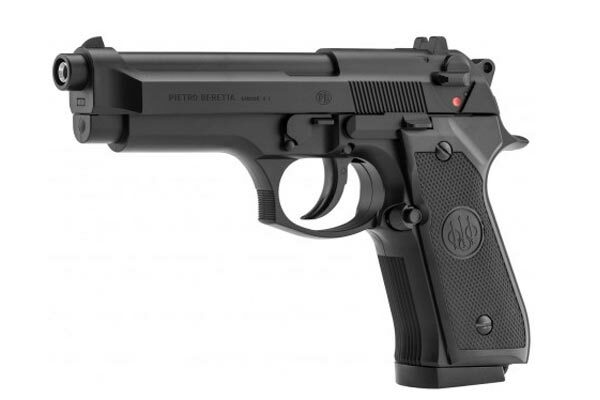 What is the difference between Airsoft guns and BB guns?